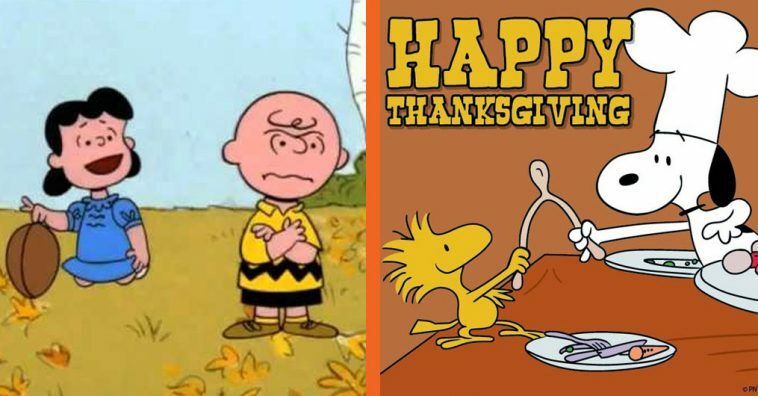 A Charlie Brown Thanksgiving is a beloved Thanksgiving tradition. Do you watch it every year? 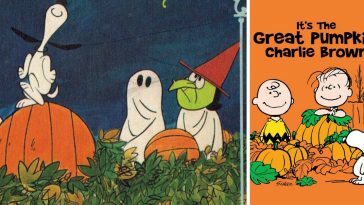 It has been around for over four decades (it was released in 1973) and even if you’ve seen it a million times, there are certain things you might not realize about this classic Charlie Brown cartoon. Here are some fun facts about A Charlie Brown Thanksgiving. 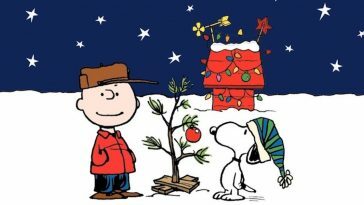 Do you watch this Charlie Brown special every year? You know that most of the teachers and adults in Peanuts only make a “wah wah wah” sound. 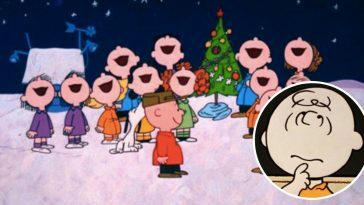 You actually hear an adult voice in A Charlie Brown Thanksgiving, but it might not be what you think. The voice is heard in the song “Little Birdie”. The song was performed by composer Vince Guardaldi. 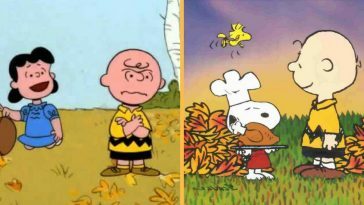 You might think that there would be adults in a cartoon about Thanksgiving, but there are no adults seen or heard in A Charlie Brown Thanksgiving. It may be the only Thanksgiving special that does not include any adults like teachers or parents. In the beginning, you see that iconic scene of Lucy pulling away the football from Charlie Brown, but then she isn’t shown much after that. Lucy’s brother Linus is a main character though. 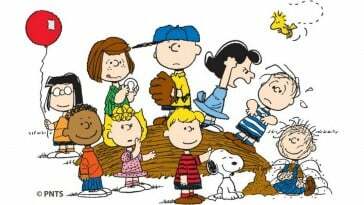 The Peanuts specials are actually voiced by kids. Charlie Brown is voiced by 10-year-old Todd Barbee in A Charlie Brown Thanksgiving. You know the signature “AAAAARRRRGGGGGG” that Charlie Brown says when Lucy yanks away the football? He couldn’t generate the sound for as long as they wanted him to so eventually they had to go with another voice for that part. Linus’ speech about the pilgrims’ first Thanksgiving led to a spinoff called This is America, Charlie Brown: The Mayflower Voyage. Have you seen it? Lee Mendelson, one of the producers, had a problem with Woodstock eating turkey at the end and called it bird cannibalism. Mr. Schulz didn’t think this would be an issue. A few years after it aired, Mendelson edited it and snuck out the part where Woodstock eats turkey. 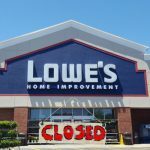 However, it didn’t last long. Networks picked up the full version later and he gave up on the issue. Where do you stand on this? Do you watch A Charlie Brown Thanksgiving every year? Which Charlie Brown special do you like the most? It will air this year on Wednesday, November 21st at 8 pm E.T. on ABC. If you enjoyed this article, please SHARE with your friends who love Charlie Brown! Snoopy, Charlie, Linus… Tapioca Pudding?! !